At a young age, my mother instilled in me that you write thank you letters every time you receive a present. Therefore, I still write thank you cards whenever I receive anything, however I halt at giving my postman a card daily. 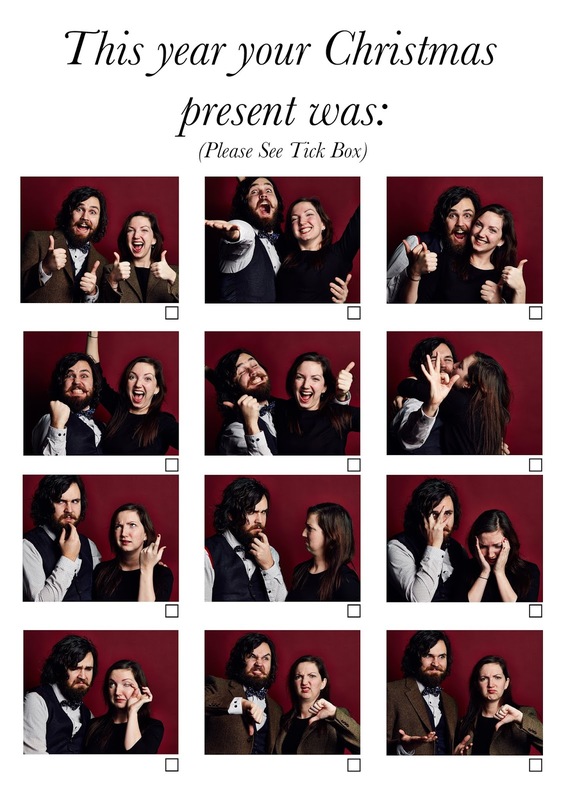 Since meeting Rowan, we have had some very entertaining ideas and our wedding Stationary will all be very personal and funny at the expense of ourselves, and potentially others. Yes, we are aware there are grammatical errors and a slight layout issue, but for a first attempt, we've got it nailed!!! If you ask me, they are looking pretty sweet!